As in many countries, in Turkey too, the most frequently heard complaint about courts is backlog and delays. This research departed from the fact that even if resources were limitless and there were as many number of courts and judges as one wished, some problems of the courts require a different understanding to resolve. 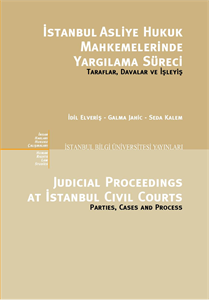 Hence, this research was thought as a pilot study aiming to understand how the process in Istanbul civil courts works. To do this, answers to the following questions were sought after: who is responsible for delays, what is the percentage of hearings in which no action was taken, which cases last the longest, who are the users of the civil courts and the percentage of the parties represented by counsel. It is believed that no matter how insurmountable these problems may seem, their reasons must be determined by data. It is therefore hoped that the research will contribute to the forming of a new judicial policy tradition based on data that understands that problems will not be resolved solely by changing laws and takes citizens' views into consideration.